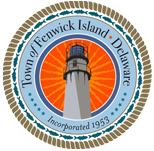 This page has been created by The Town of Fenwick Island and the Community Rating System Committee to serve as a “one stop” flood information source for Fenwick Island residents. Community Rating System (CRS):As a participant in the Community Rating System, The Town of Fenwick Island supports community actions that help reduce flood risks and meet the goals of the CRS to reduce flood losses, facilitate insurance ratings and promote awareness of flood insurance. Such activities have resulted in the Town obtaining a Class 8 “CRS” Rating which entitles qualifying property owners to a 10% discount on their flood insurance premium. Contact Patricia Schuchman, Building Official, for more information. As part of our Community Rating System’s (CRS) Outreach Project and, as you are located in an area subject to repetitive loss, there are preventive measures you as a homeowner may take to prevent further flood loss to your property. DOVER (March 15, 2017) – DNREC’s Division of Watershed Stewardship’s Shoreline & Waterway Management Section now offers an interactive Flood Planning Tool with up-to-date information for helping to determine flood risk for homes and businesses and for designing development projects in accordance with floodplain codes. The Flood Planning Tool website is designed to provide residents, businesses, floodplain managers, insurance agents, developers, real estate agents, engineers, surveyors and local planners with an effective means to make informed decisions about the degree of flood risk for a specific area or property. Flood Planning Tool users have the ability to look at the current effective Flood Insurance Rate Map (FIRM) layer as well as the preliminary FIRM layer. The preliminary layer shows Delaware areas that will be revised with more detailed information as a result of flood studies that have been conducted. DNREC’s new Flood Planning Tool website also displays FEMA’s regulatory floodplain boundary via aerial photography. Another feature is DNREC’s analysis of several special flood hazard areas that have not previously been studied in enough detail to establish a base flood elevation. The Flood Planning Tool can be found at http://maps.dnrec.delaware.gov/FloodPlanning/default.html. Over the past 12 years, DNREC’s Division of Watershed Stewardship has partnered with FEMA to improve the accuracy of Flood Insurance Rate Maps created in the 1970’s through a Cooperating Technical Partnership. DNREC completed floodplain mapping for all three Delaware counties in 2016. The improved flood risk maps incorporate the results of more than 330 miles of flood studies. Property owners along Zone A floodplains have had a difficult time in the past at both understanding their flood risk and in getting properly-rated flood insurance. Base Flood Elevations and Advisory Flood Heights have now been determined in most of these areas, and a more accurate depiction of flood risk is now available. In the future engineers, developers and local officials will also be able to download HEC-RAS models (HEC-RAS is a widely-used computer program modeling the hydraulics of water flow). Please contact Dave Warga or Janice Shute of DNREC’s Shoreline & Waterway Management Section for more information at 302-739-9921.